Established on 25 July 1984 and the first privately-owned airline in the People’s Republic of China, Xiamen Airlines is currently experiencing a transition from a domestic player to become a respected regional carrier. With the airline’s recent entry into the Skyteam alliance, we took a flight from its Xiamen base to Singapore to see if it makes the cut to share the skies with Asia’s best. 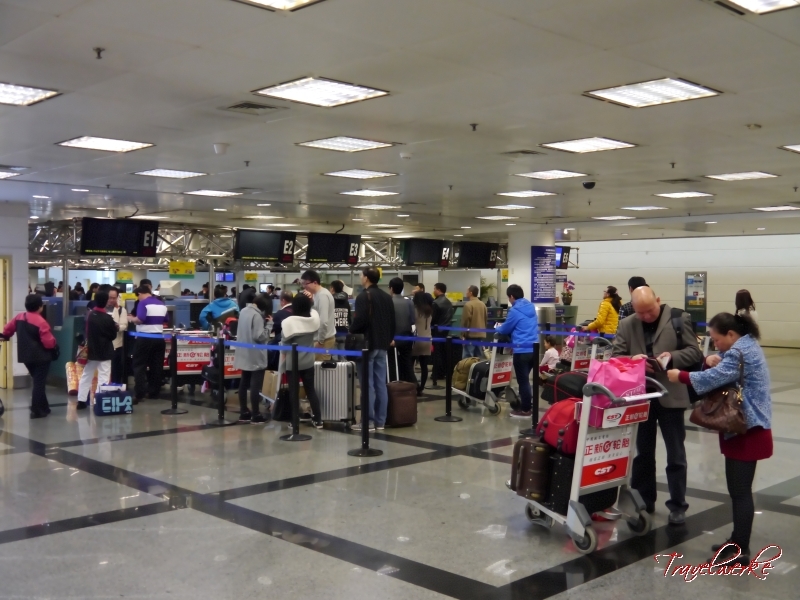 With no online check-in facility available, we had to head to Gaoqi International Airport and report for the flight manually. Xiamen Airlines opens flights for check-in 2.5 hours before departure and lines were already forming nearly 3 hours out, making it a lengthy wait before we were served. Other than this inconvenience, the check-in process was relatively efficient with bags tagged and boarding passes issued quickly. 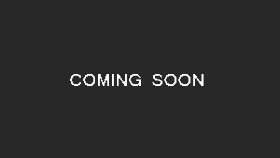 Due to the late arrival of the aircraft from the previous sector, our flight was delayed by 40 minutes. 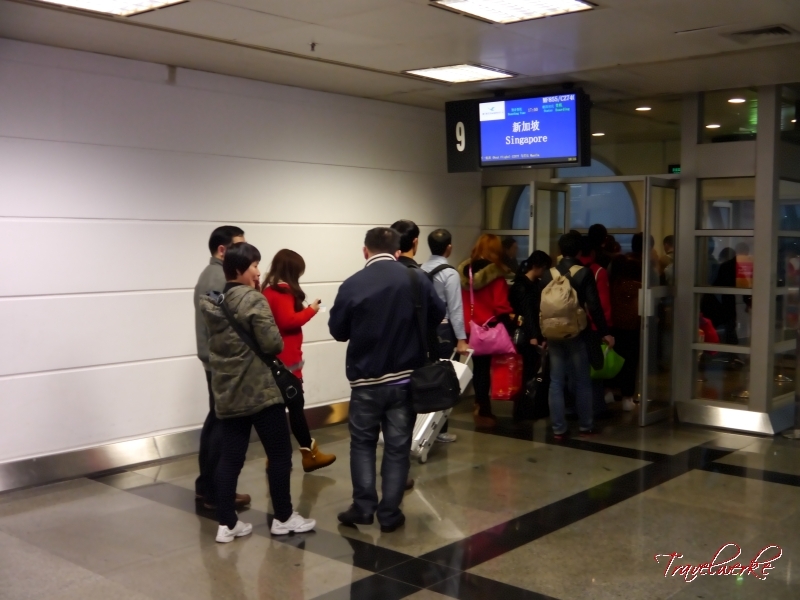 Xiamen Airlines could improve on keeping passengers informed of the delay as no announcements were made in the terminal and passengers had to rely on the flight information display. The airline also lost points when no boarding announcement was made and the ground agents did not enforce priority boarding for Skyteam Sky Priority, status holders and Business Class passengers. The process was completed quickly with minimal delay, but only because the flight load was light and most passengers were eager to get settled on the aircraft. 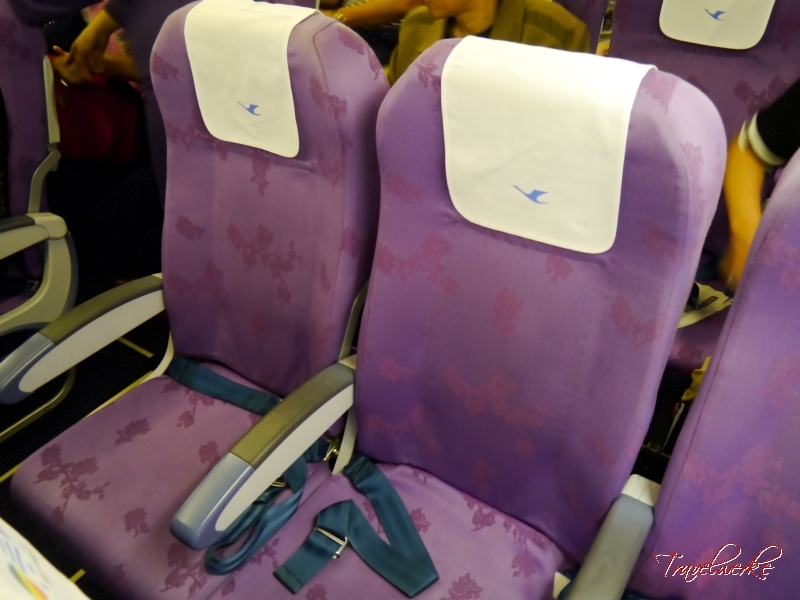 Xiamen Airlines’ Economy Class seats are upholstered in a pleasant purple fabric and comfortably padded. 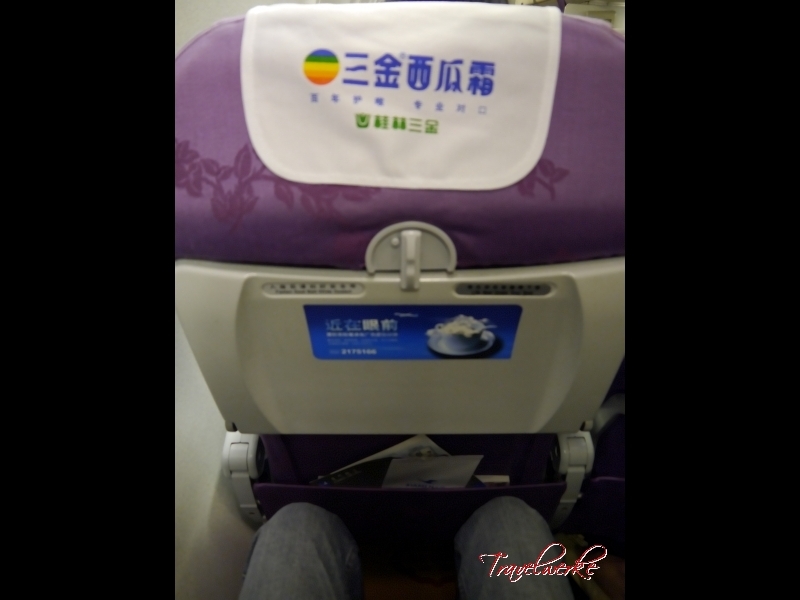 Seat pitch and width are respectable with a generous recline sufficient for the 4-hour flight. 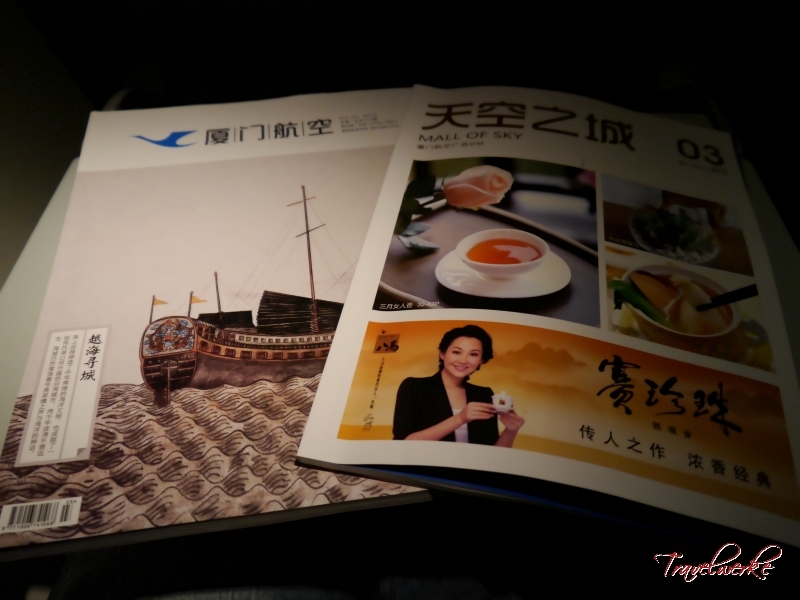 Like most Chinese airlines, the seatback and headrest covers were used to generate ancillary revenues with advertisements. Our flight was crewed by 4 flight attendants (1 in Business and 3 in Economy Class), all of whom were polite and professional in their disposition. While not as refined as the likes of Singapore Airlines or Cathay Pacific, the onboard service was carried out in an attentive and charming manner. We especially liked how the cabin crew were introduced to passengers as part of the pre-flight procedure while the aircraft was taxiing for takeoff. 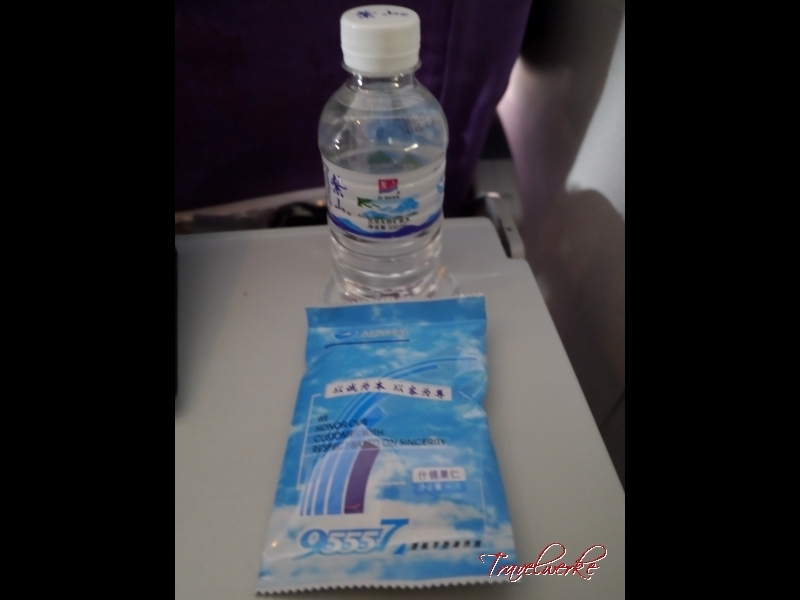 Dinner and refreshments were served onboard our flight, with a choice of pork or fish with rice. 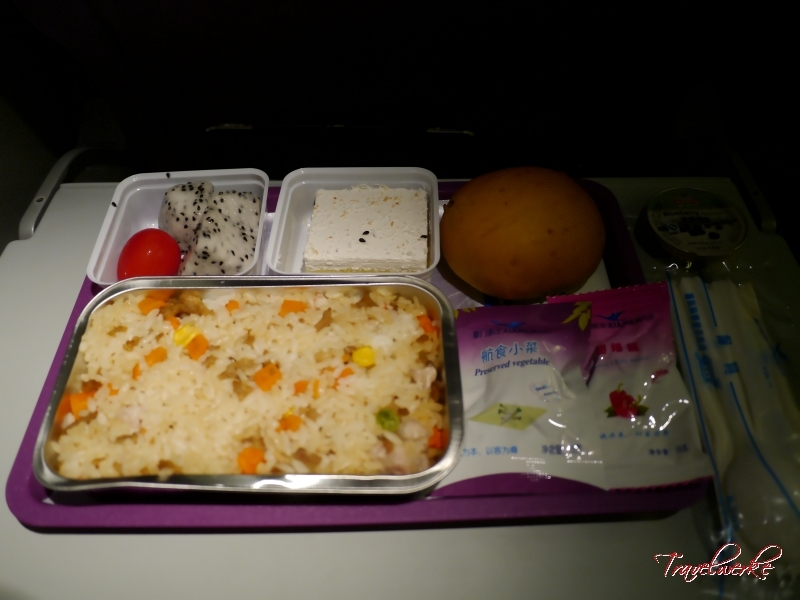 Both were oriental options catering to the airline’s predominantly Chinese passenger base and Xiamen Airlines has some work to do on the catering given its membership into Skyteam and international expansion. While the meal was tasty, portions were rather small by international carrier standards. 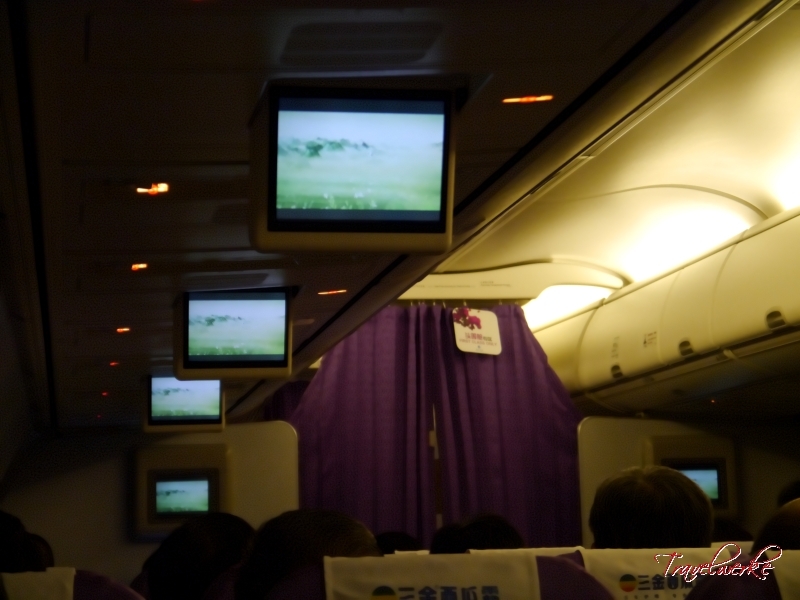 Inflight entertainment onboard consisted of a Chinese movie shown on the overhead drop-down screens, several music channels and the inflight magazine. Clearly geared towards the Chinese traveller, the contents were only available in Mandarin with a focus on local and regional topics. We feel that to truly become an international carrier, Xiamen Airlines needs to look into providing bilingual content catering to non-Mandarin speakers. 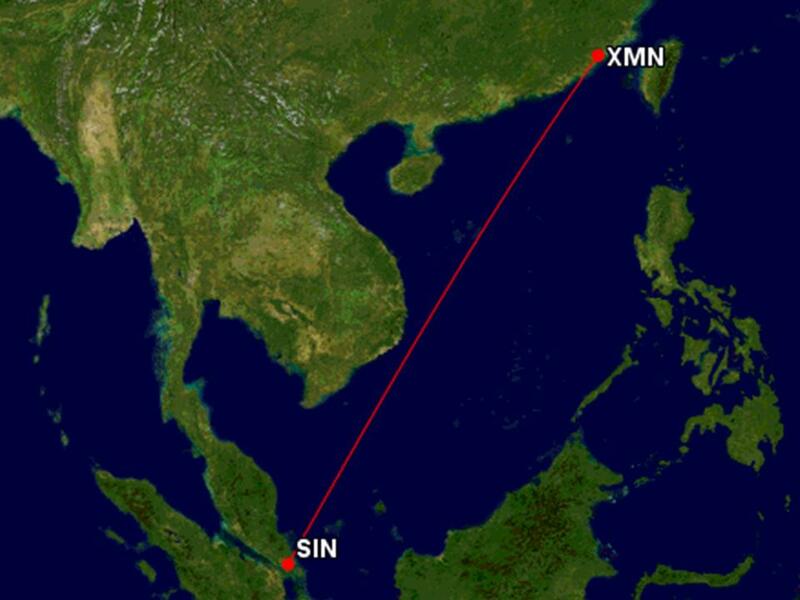 The flight landed at Singapore Changi International Airport about 40 minutes behind schedule. Following a short taxi to the gate, doors were quickly opened and the crew were at the aircraft door to bid passengers farewell to conclude the uneventful flight.